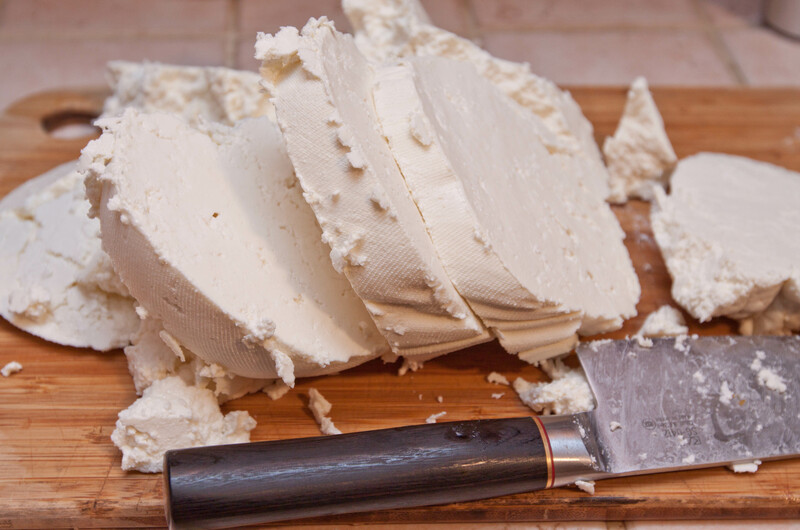 Did you know you can make your own Feta Cheese From Scratch?! It’s a labor of love, but so incredibly worth it! So like most cheeses, for feta I needed a few additional items I couldn’t get from a grocery store. Aside from milk, kosher salt, and some homemade plain yogurt, I needed calcium chloride, lipase powder, and vegetable rennet. Calcium chloride is a salt solution of calcium and chloride. It’s used in cheese making to essentially add back the calcium from the milk that was lost during the pasteurization process. This helps create a firmer curd; without enough calcium, the milk wont coagulate very quickly and when it does, the curd wont be very firm. Yay science! 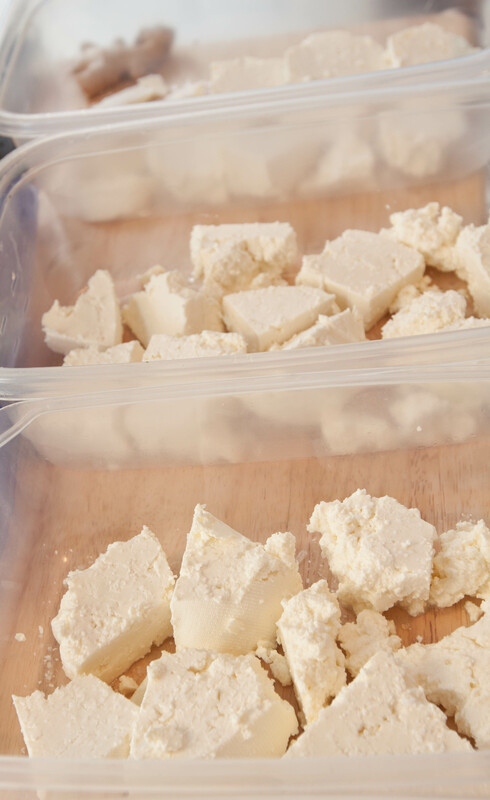 You can find calcium chloride in most home brew and cheese making stores. My favorite one in Portland is Homebrew Exchange in North Portland. It’s small, the staff is super knowledgeable and friendly, and there’s a kids section with toys and books and stuff. An awesome indicator of encouraging patrons to spend a lot of time there nerd-ing out on all things home brewing and cheese making. 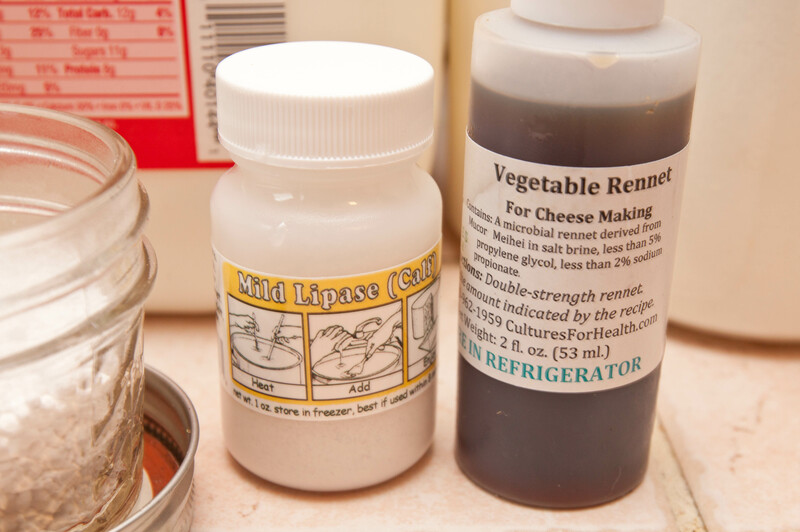 The other specialty items, Lipase powder and Rennet (animal or vegetable, both will work). Both can also be bought at Homebrew Exchange, although I have found rennet at Whole Foods and New Seasons before too (gotta ask the cheesemongers though, they had it behind the counter). 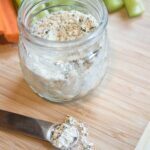 Lipase is an enzyme used mainly for adding flavor to cheese, and rennet is a collection of a bunch of enzymes that help aid in the coagulation process. To nerd out of some more on curd and cheese science, check out Curdnerd! So there are a ton of different feta recipes out there. Some that take less time, some that involves specific cultures, but all contain the same basic ingredients with varying processes. I didn’t need a culture, because I had some in my yogurt. 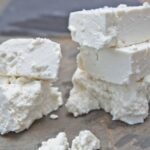 And even though this feta recipe was one of the longer ones, it came from finecooking.com and had the nutritional value broken down too, which is my book, means it’s super legit. 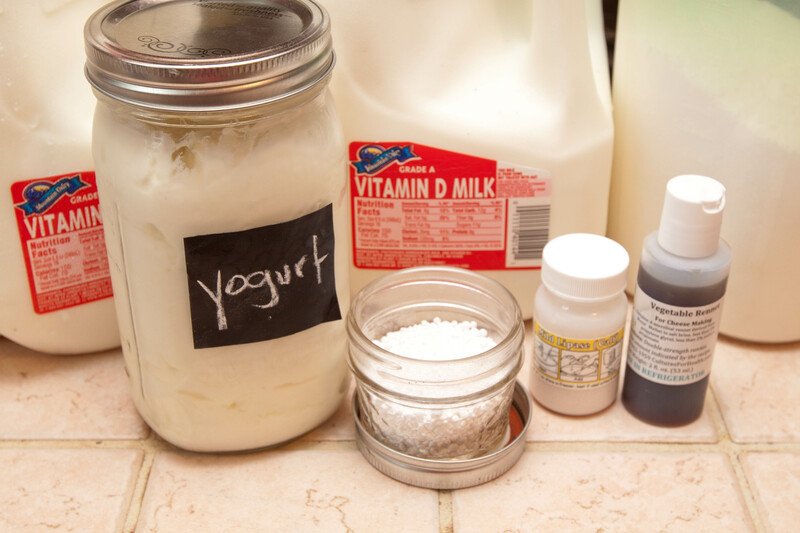 The first step in this recipe: mix the yogurt with about a cup of milk (I doubled the recipe). Scratch that- first step was actually sterilizing everything to reduce the risk of bacteria sneaking in. So lots of boiling water baths for the bowls, the pots, and a good cleaning of all the counters. Next, I poured in the rest of the milk until it reached 90 degrees, stirring it occasionally. Then, I added the yogurt and milk mixture, gave it stir, turned off the heat (but left the pot on the burner), covered it, and let it sit for 45 minutes. After 25 minutes, I stirred in a half a teaspoon of the lipase with 1/2 cup of water, let that sit for 20 minutes, then added the rennet and calcium chloride, gave it a stir until blended. The curds were ready when there was what’s called a “clean cleave.” This is pretty much when the curds will break and separate easily if you stick your (clean) finger or (sterilized) knife into the curd about an inch and, “If the cleave is clean, the curd will split with sharp edges and whey will start to fill the split.” Once my curds had a clean cleave, I turned the heat back on to low for about 5 minutes, then cut the curds into cubes with a long knife, then stirred them with the slotted spoon, then checked to make sure they were 96 degrees again, then turned off the heat, then covered the pot, then waited another hour. Oh AND gave the little curds a stir every 10 minutes. By this point I was like, “! *@($) grumble grumble, you better be delicious you little.. *! *#$%, grumble grumble.” By this point I was getting pretty impatient. After the hour I was pretty pumped to drain these curds and get on with my life. This requires a good cheese cloth. And a big one. Since I had doubled the recipe, I had double the curds and I used an entire 2 square yard cheese cloth so that I had plenty of space to work with and fewer chances of loosing precious curds out the sides. Plus, with so much whey too, we had to do it in slow steps, making sure to not just fill the pot under the colander so then the colander can’t drain and keeping the whey for future storage of the finished feta. This was definitely a two person process. I held the cheese cloth in place while Dan slowly poured in the whey and curds. I’d let the whey drain off, transfer excess why to another pot, and then we’d repeat. Finally, we had this lovely cheese cloth filled colander of fresh curds! then covered in plastic and hallelujah! I was done for the day! 24 hours later I unwrapped this beautiful ball of deliciousness. And then I immediately apologized for all the mean things I said to it while I was stirring it on the umtenth hour of cooking… You were so worth it, gorgeous. 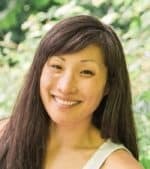 I sliced her up into 2 – 3 – whatever size they crumbled into – inch pieces and placed them in a single layer in shallow (sterilized) containers. At this point, the instructions said if there were any uniform round holes in the middle of the cheese, then bad bacteria had been introduced somewhere and all the cheese needed to be tossed. Thankfully, no holes here which meant no tears and additional expletives. I sprinkled 2 oz of Kosher salt as evenly as I could over all the cheese, covered them, and let them brine for the next few days. Day 5! Eeeee! 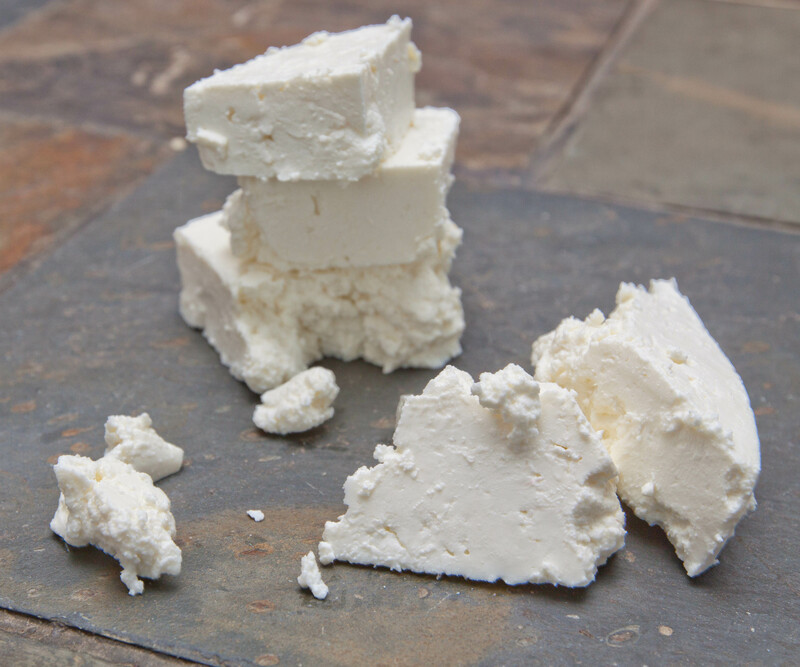 Salty, crumbly, delicious feta. So. freaking. happy. Fresh, Feta Cheese From Scratch! Yay! Enjoy, friends! 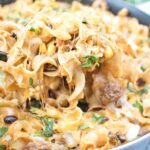 Also, don’t forget to follow me and share with me when you make any of our From Scratch recipes on Facebook, Instagram, Pinterest, and Twitter! 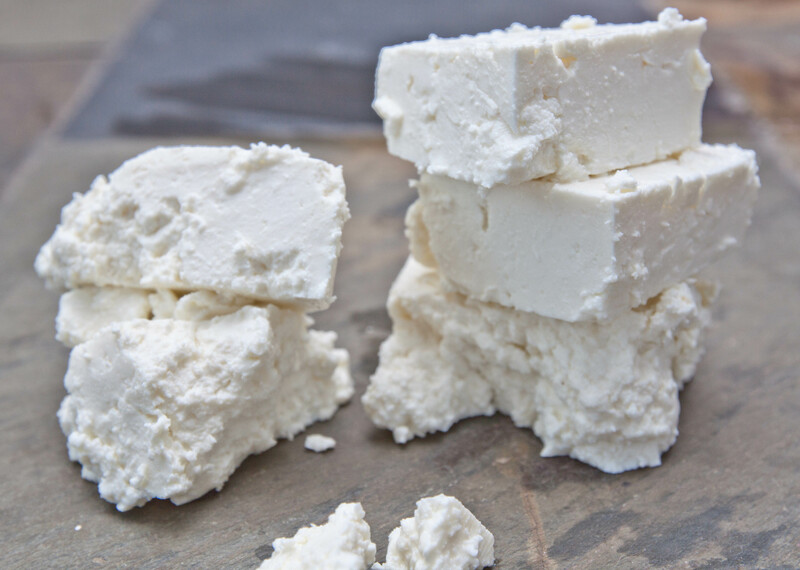 Did you know you can make your own Feta Cheese From Scratch?! It's a labor of love, but so incredibly worth it! Sterilize all the equipment you will need for this first day of work. Clean all counters with hot soapy water or an antibacterial wipe. 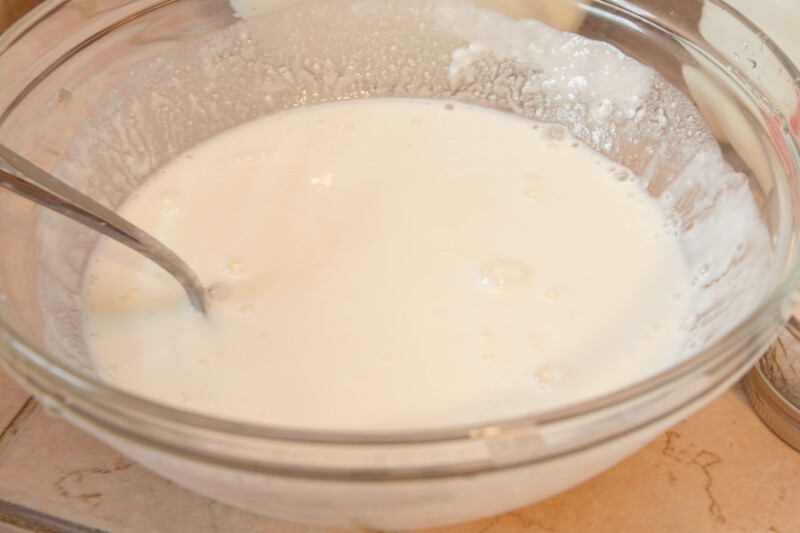 In a small bowl, mix the yogurt with 1/2 cup of the milk. 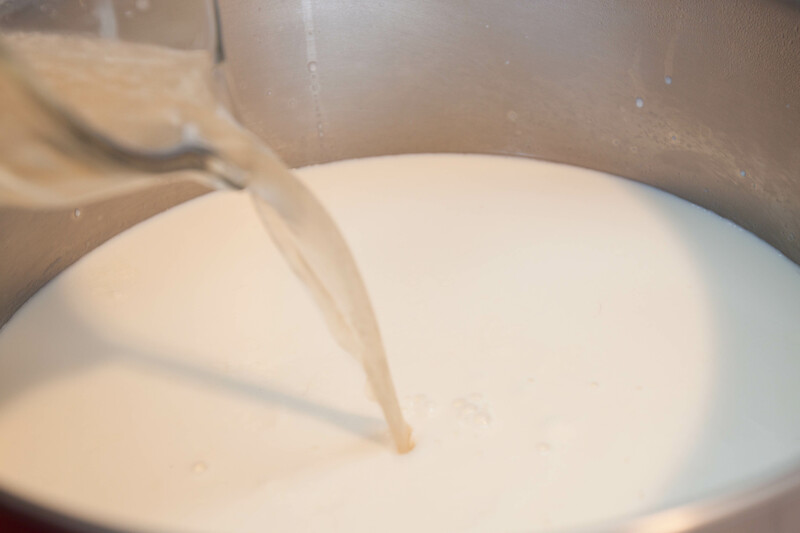 In a deep 8- to 10-quart pot, heat the remaining milk over medium-low heat, stirring occasionally with a slotted spoon, until it registers 90°F on an instant-read thermometer, 10 to 12 minutes. Stir in the yogurt mixture. Turn off the heat (leave the pot on the burner), cover, and let sit for 45 minutes. Meanwhile, in a small bowl with a soupspoon, stir the lipase with 1/4 cup water until blended—it doesn’t matter if the lipase stays a little lumpy. Let sit for 20 minutes. 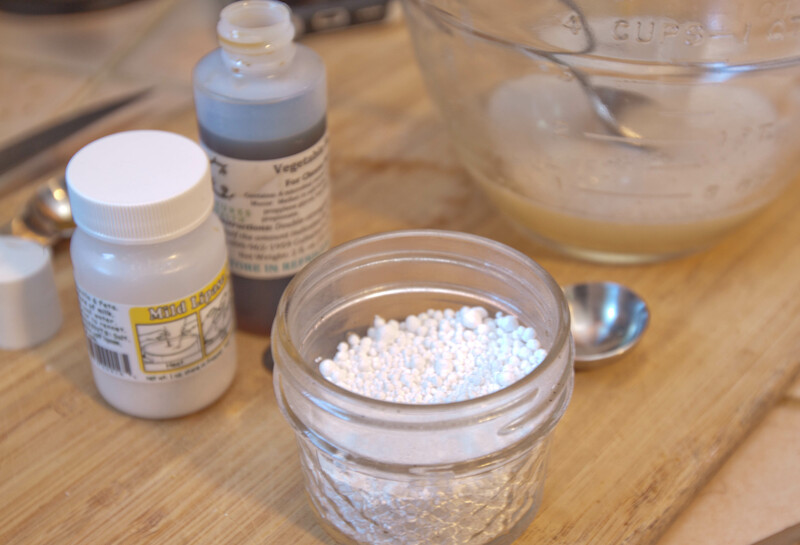 Stir in the calcium chloride and rennet until the mixture is smooth and blended. Turn the burner under the milk mixture to medium low, add the lipase mixture and stir with a slotted spoon for 1 minute. 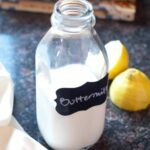 Stop the movement of the milk with the spoon and hold a thermometer in the center of the milk—the temperature should be at least 96°F; if necessary, continue heating until it comes up to temperature. 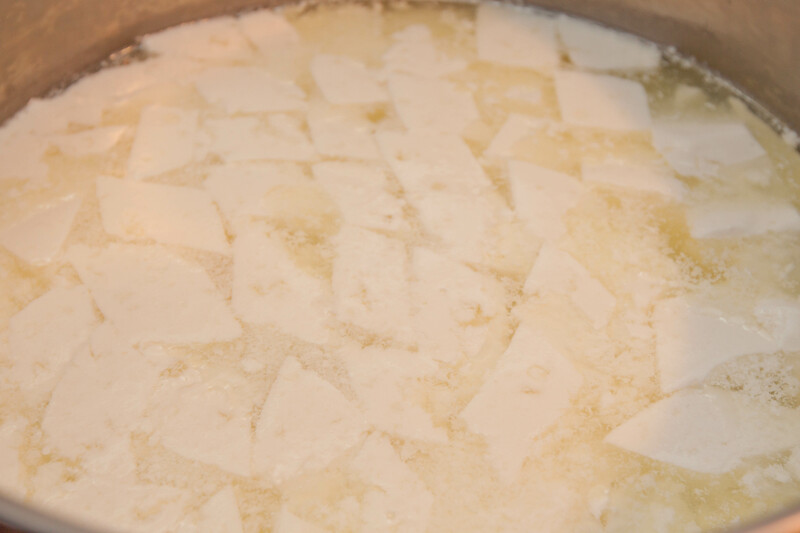 Remove the thermometer, turn off the heat, cover the pot, and let sit undisturbed until the curd is firm and has a clean “cleave,” 1 to 3 hours. 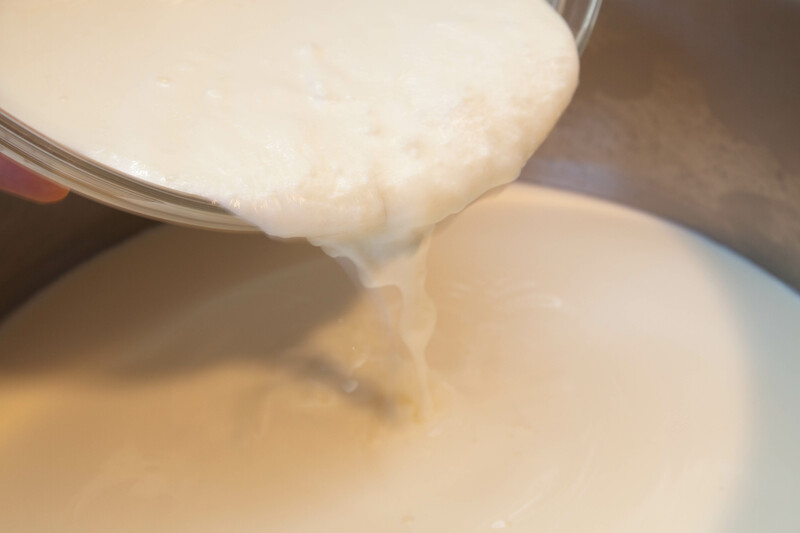 To determine a clean cleave, wash your hands with soap and hot water and insert a finger (or a sterilized spoon) 1 inch diagonally into the curd and pull straight up. If the cleave is clean, the curd will split with sharp edges and whey will start to fill the split. With a table knife, cut the curd all the way to the bottom of the pot in a 1/2 -inch crosshatch pattern. Turn the heat to low and heat for 5 minutes. Stir the curd with the slotted spoon and insert a thermometer; it should read at least 96°F. If not, continue heating, stirring occasionally, until the curds come up to temperature, increasing the heat to medium low, if necessary. Turn off the heat, cover the pot, and let sit for 1 hour, stirring every 10 minutes to break up large chunks. Set a large colander over a large bowl and line it with 2 layers of cheesecloth. Pour the curd into the strainer and drain off the whey for 30 minutes. Put 1 quart of the whey in a sterile 1-quart liquid measuring cup, cover, and set aside at room temperature. Gather the ends of the cheesecloth and tie them loosely at the top of the curd; then tie them around a long spoon or several chopsticks. 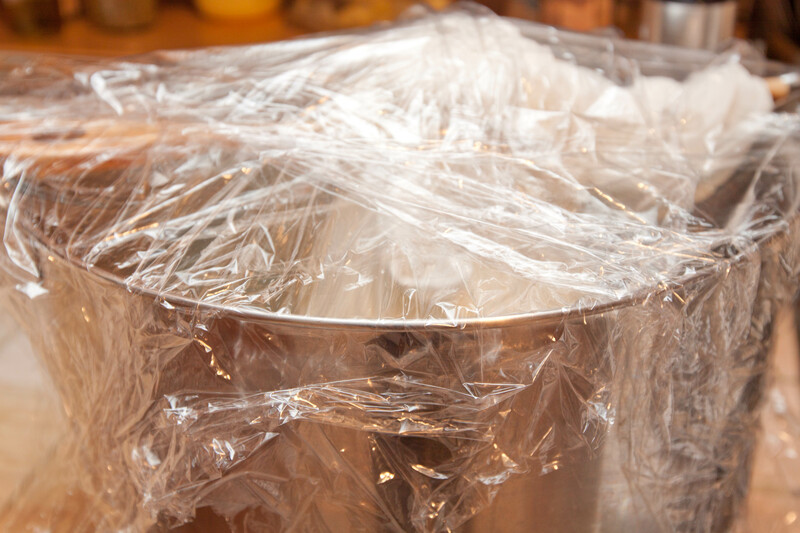 Hang the bag inside the pot at room temperature for 24 hours, loosely covering the top with plastic wrap. After 24 hours, you should feel a firm, solid mass of curds; if not, let the curd hang for another few hours and check again for firmness. Sterilize the equipment you’ll need for this day of work. Clean all counters with hot soapy water or an antibacterial wipe. 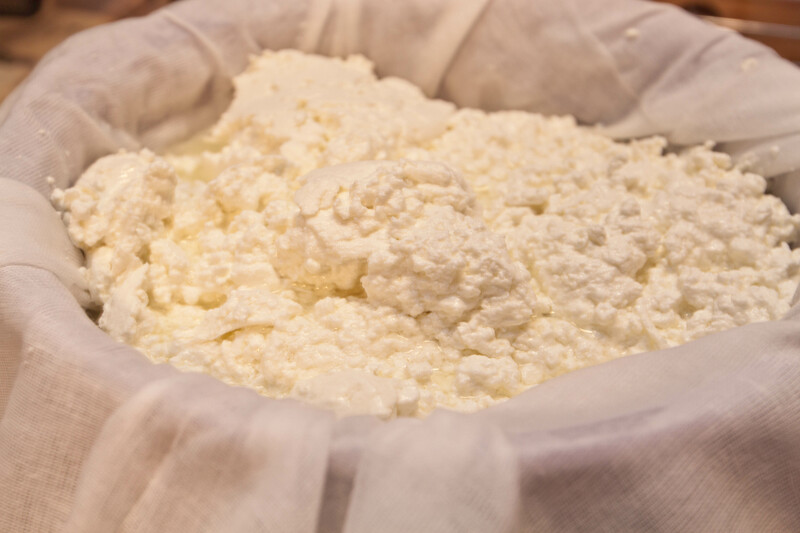 Untie the cheesecloth and transfer the feta to a cutting board. 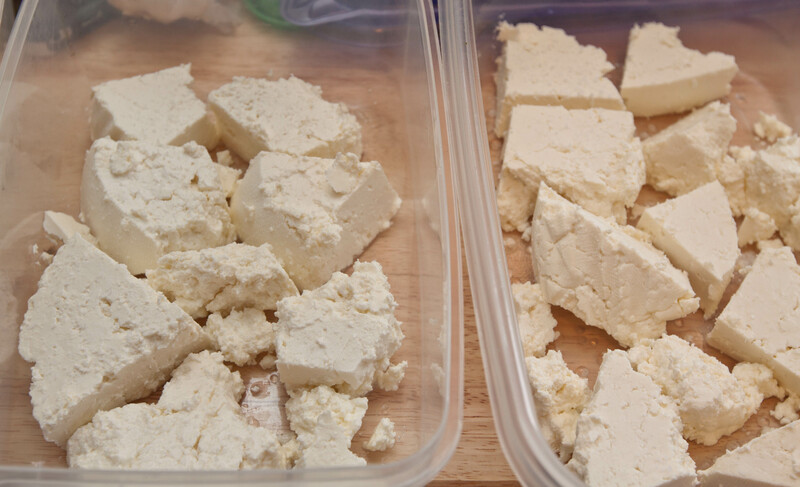 Cut the feta into 2- to 3-inch pieces. If you see small, uniform, round holes throughout the cheese when you cut it, and it feels spongy, that means undesirable bacteria have contaminated it and you should throw it out. Otherwise, arrange the squares in a single layer in a sterile shallow container with a tight-fitting lid. Sprinkle about 1/2 oz. salt over all sides of the cheese. Cover and let sit at room temperature for 3 days. Turn the feta daily and resalt with 1/2 oz. salt on days 3 and 4. Each day, pour off the whey as it collects in the bottom of the container. Sterilize a 3-quart covered container. 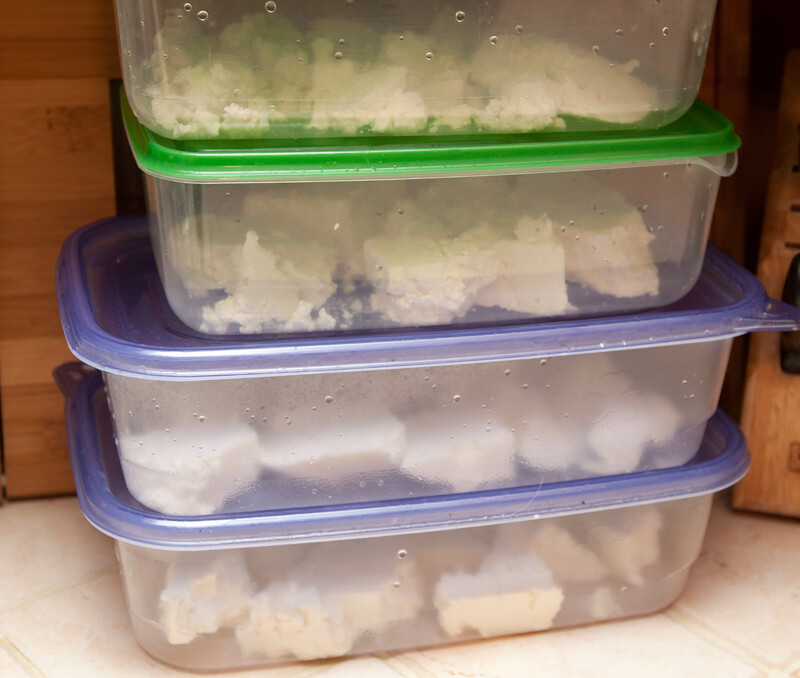 Transfer the cheese pieces to the container—it’s fine to stack them at this point. Stir the 2 oz. kosher salt into the 1 quart of reserved whey until it is dissolved. Pour this brine over the cheese, covering it completely. Cover and refrigerate for 1 to 4 weeks. 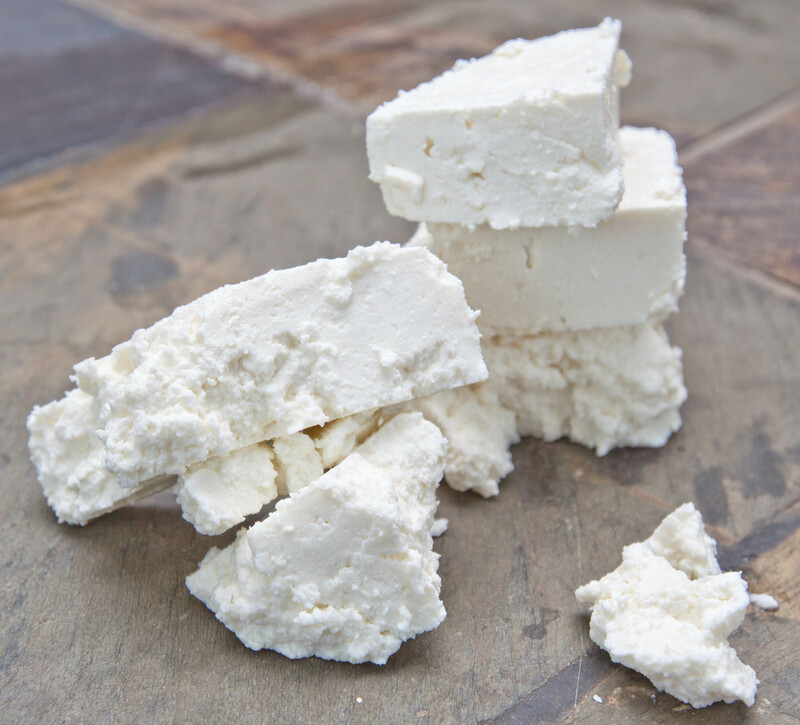 The longer the feta is aged, the stronger the flavor and crumblier the texture will be. Noooooooooooooooooo wayyyyyyyyyyyyyyyyyyyyyyyyyyyyyyyyyyy……………. you DIDN’T!! 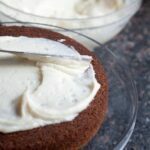 I HAVE to try this sometime, I can’t believe how good it came out, (well yes I can, you’re a genius! )- Extra weird because I’ve been craving feta lately…. lol. 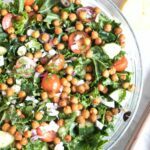 I just had a Greek salad the other day but I still wanted more! Well I’m impressed. IM-PRESSED. I am standing up right now giving you an ovation! Absolutely a marvel! Now, may I have one of those containers? Wow, that is an achievement! I learned some new terms today and that there is a vegetable source of rennet too. Thanks for sharing! Wow! I am really impressed!! It never would have even occurred to me that this was possible to do at home. I love feta. Did it taste the same as store-bought or even better? Congratulations, Tracy! You are amazing! I understand your excitement – that is quite the accomplishment. I have only made more ordinary cheeses, but the result was always so much better than the commercial stuff. 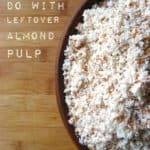 I now think I might have to find some of these ingredients and make my own so I can share in the excitement. Thanks for the tip on asking the cheese guy at Whole Foods. Wow!! I can definitely see why you’re so excited, that’s amazing, I’m so impressed!! Amazing! 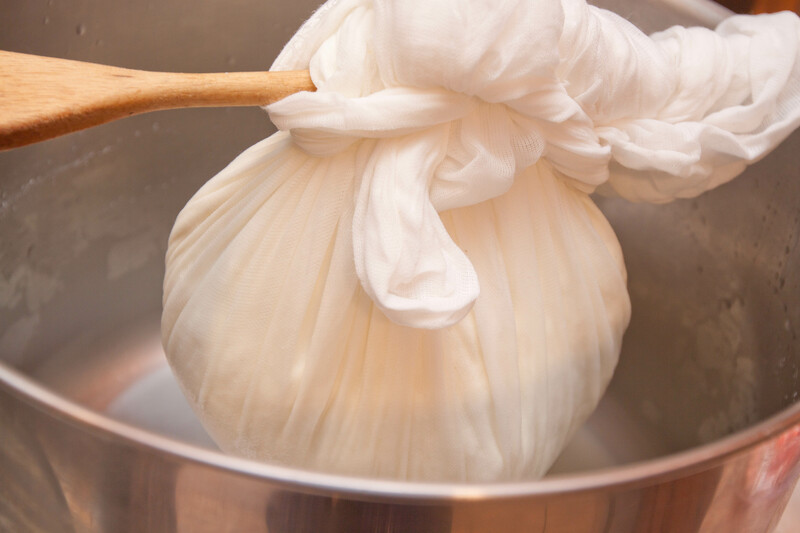 I want to make mozzarella and ricotta and now….feta! Gorgeous. Brilliant! This is one of Mrs Fitz’s favourite things! Cool! Am trying this for sure! I really will! I decided against the dehydrator right now..
Ummm well i dont actually eat cheese! Mrs Fitz does though a feta is a fave! I am going to pick up a dehydrator next time am in the states.. You pay so much less for them! Off to mexico city the start of next month.. A tortilla press is amust as well as a bag of masa harina!! Lovely! This has long been on my bucket list of things I’d like to try to make…someday! Seeing it broken down like this makes that seem like a bit more of a possibility! Thanks for taking all the time to post it! I think you’ve impressed us all with this one for FF. So well done. And I loooove feta. There’s an activity for the next school break (summer hols) for me and the kids. Aw, thank you! It’ll make a great project / science lesson for kids! That is super cool, I bet you were pretty proud, I would be:) thanks for sharing. Very inspirational – thanks for sharing! 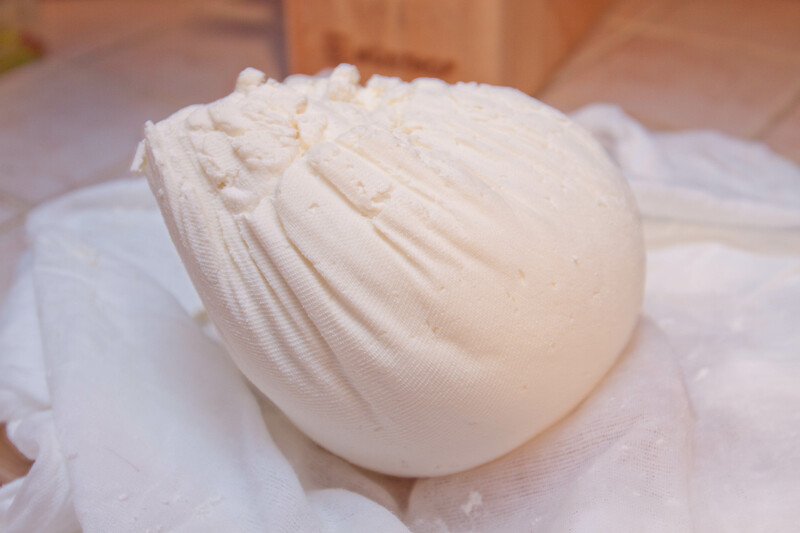 I have a post on my blog for making mozzarella at home – it’s really easy too just a little time consuming! Wow!!! Well done!!! Fantastic achievement!!! I’ll take a container too please!!! I am a lover of all cheese and this one looks so good, fresh and moist. Would love to make this at home. Really interesting process and you have made it so simple. Thanks. We get through SO much feta in our house. We definitely need to try making it ourselves. This is amazing, I love your clear step by step pictures! Wow! 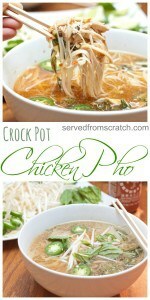 I am going to try this when I get all the ingredients! Thanks for the recipe! I’ve made halloumi but never feta! I’m definitely having a go now. Thanks for the instructions!